Have you seen how many different kinds of granola you can buy? A lot of the granola you see in grocery stores is loaded with too much sugar and sodium… definitely not something you want if you’re trying to eat healthy (and Granola started off as a health food, remember). Here’s a better idea… make your own. 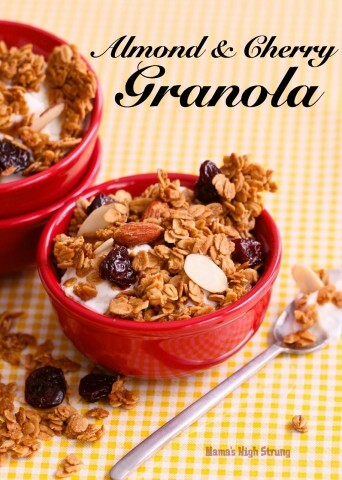 This is a very easy gluten-free, vegan recipe that shows you how to make the best granola ever. I’ve used brown sugar and maple syrup to give it a subtle sweetness and added just a pinch of salt. The almonds and tart cherries bump up the excitement! Find the printable recipe below the image! Place one of the oven racks about 6 to 8-inches from the top or in the top 1/3 of the oven. Preheat the oven to 325. Line a rimmed baking sheet with parchment paper. Mix brown sugar, maple syrup, vanilla, salt, oil and whole almonds together in a large bowl. Add oats one cup at a time, stirring gently with a rubber spatula so that the oats are completely coated. Spread oat mixture evenly onto lined baking sheet and press down mixture with a rubber spatula. Bake for 20 minutes and rotate pan. Continue baking 20 to 30 minutes longer, or until lightly browned. Remove from oven and sprinkle sliced almonds and cherries evenly on top. Press down on the fruit using a rubber spatula. Cool in the pan for 2 hours. Break into pieces and store in an airtight container for up to 2 weeks. This looks wonderful. I like my granola to be nice and chunky. Pinning this for future reference. With or without raisins? I’m totally off raisins now! Too much sugar! Christina, I am back. I made this granola and it is the most amazing granola recipe I have ever tried (and I have tried a few!) But, you told me that if I made a batch of this I would have it for 2-3 weeks. That simply is not true. I had it for four days before my family had completely devoured it. (But it is totally worth it and I will be making this recipe over and over again!) Thank you for this amazing recipe! You are the sweetest person in the world… Thank you so much for your kind words. I’m sorry it didn’t last… get back in there and teach the family how to make it so they can plenty in the pantry! I have always wanted to make my own granola. I would eat it on EVERYTHING!! Thanks for linking up at Totally Terrific Tuesday! I hope you made it back this week, and stop back monday 10pm eastern for the next party! Pinned and Shared! I will be there… I love the Totally Terrific Tuesday link up. Thanks Nicola… and Gluten Free! 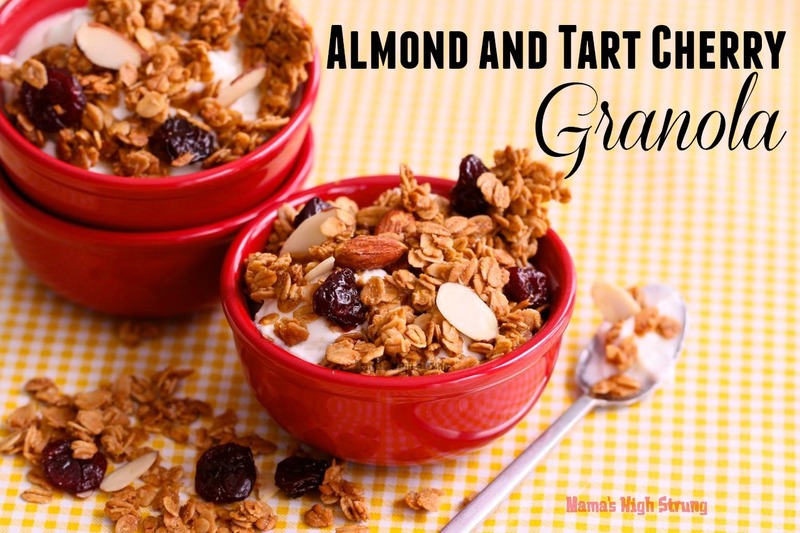 Gluten free granola is expensive to buy and i have to make yours asap! Thanks for sharing at Thursday Favorite Things, hope to see you again! Thanks so much Evelyne. It’s not just the sugar that gets me… it’s the sodium! I know they have to preserve it, but really, this recipe is so easy and you mix and match whatever dried fruit or nuts you like! This looks amazing! Thank you so much for sharing at Frugal Family Link Party. I am looking for healthier, less processed breakfast foods and this looks perfect. Ooooo sounds and looks so delicious. 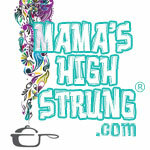 Thanks for sharing…love your blog set up. Thanks Alexa! I’m going to check out your blog now! You had me at cherries! Then you added the almonds too. Oh my. Thanks so much! I LOVE that link up! Looks really good! I have to try this! Thanks Blanca. I like it because my youngest is allergic to nuts… so I just leave them out. Great to add or subtract ingredients and still keep it interesting!